Sturdy and attractive laminate top doubles as convenient work surface. One angled letter/legal filing shelf, and one fixed utility shelf. The Datum FileCart™ is the sturdiest on the market, and great for filing as well as storage and transportation of other items. Offering a generous 32 lineal filing inches (LFI), the Datum FileCart™ includes one letter/legal filing shelf and one fixed utility shelf. 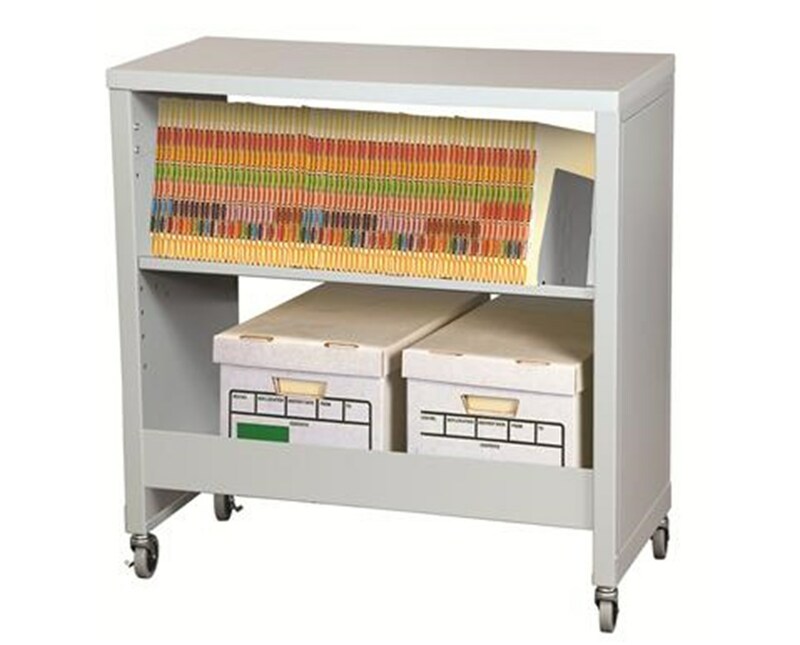 Two adjustable dividers help keep files and other materials neat and organized. This cart is quiet - the plate-mounted, hard rubber swivel casters (two free/two locking) eliminate that annoying rattle and the solid construction eliminates the squeakiness often found in other carts, meaning no noise and distraction for your office staff. Angled shelves prevent files from falling out. The 18 gauge steel utility shelf can be mounted with side flanges up or down. Comes in 4 popular colors. The sturdy laminate surface doubles as a great writing surface, and comes in 4 laminate patterns. 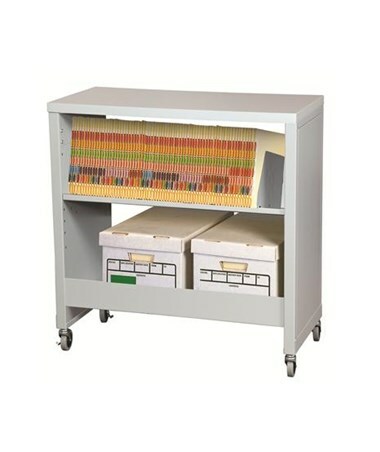 Contact one of our friendly, knowledgeable customer service representatives for additional colors, customization options, and for assistance with choosing the perfect file carts for your office! Sturdy and attractive laminate top doubles as a convenient work surface. Quiet 3" diameter hard-rubber casters roll easily over indoor surfaces and doorways. One angled letter/legal filing shelf. One fixed utility shelf, mountable with side flanges either up or down. Datum FileCart™ with Laminate Top.